This page contains several examples of SMART designs in order to illustrate the different design possibilities and questions that SMART can answer. 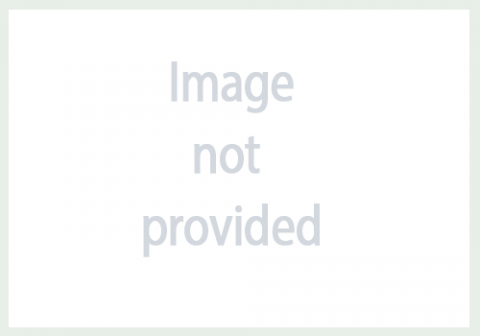 Click on an image to enlarge and show detail. To see a subset of the designs that relate to a specific health problem or design type, select from the dropdown list. Researchers have developed an intensive relapse-prevention program for pregnant women who abuse drugs. 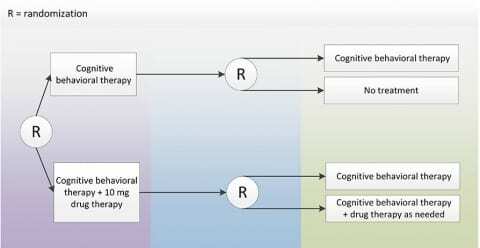 A SMART design is being used to develop an adaptive intervention where the intensity and scope of the relapse-prevention program is adjusted based on the evolving status of the woman. See a detailed version of the schematic. Studies show that the use of stimulants for the control of ADHD in youth leads to a reduction in height gain. This study uses a SMART design to examine the effectiveness of temporary breaks in medicinal treatments and caloric supplementation for the treatment of stimulant-induced weight and growth suppression. See a more detailed version of the schematic. Researchers in this study are developing an adaptive treatment for adolescent marijuana users. They are studying the use and combination of several efficacious treatments, including behavioral therapy, contingency management, behavioral parent training, and working memory training via a SMART trial. 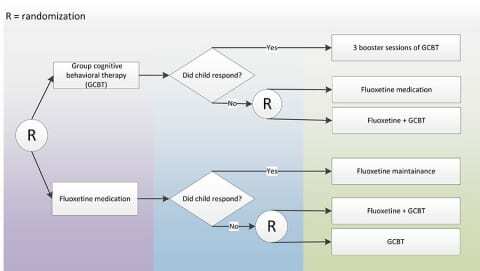 The aim of this SMART is to understand whether to begin with medication or behavioral therapy for children with ADHD, and whether to intensify or augment initial treatment for children who do not respond to treatment. A SMART design is being implemented to develop an adaptive intervention to increase treatment engagement and decrease cocaine use for patients who are cocaine dependent. The study also examines whether patient choice of care affects patient outcomes. Naltrexone (NTX) is an opioid receptor antagonist used to prevent alcoholism relapse. 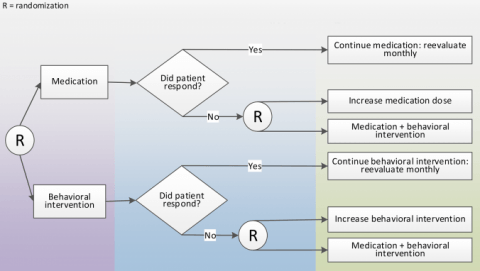 This trial examines how to define “non-response” to treatment with NTX and what treatments are most effective for those who do or do not respond to the initial treatment. This project targets African American adolescents with obesity and their parents. SMARTs are used to develop an adaptive intervention that increases skills in changing dietary, exercise, and sedentary behaviors. For youth with OCD, the most common treatments are cognitive-behavioral therapy (CBT), pharmacological treatment, or both. Up to 30% of patients may not benefit from their initial treatments. 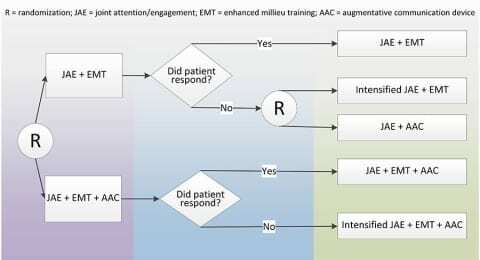 Researchers will employ a SMART to determine the optimal treatment sequence for participants dependent on whether or not they respond to their initial treatment. Adolescents suffering from depression begin treatment with interpersonal psychotherapy. 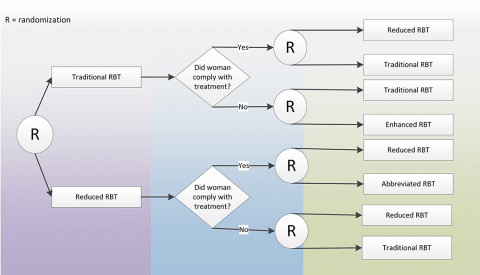 This pilot project employs SMART to help establish treatment rules regarding when and in what way to intensify treatment. This project aims to develop an adaptive intervention for persistent insomnia. Researchers are using SMART to determine the best sequencing of cognitive behavioral therapy and medication for persistent insomnia. Patients suffering from bipolar disorder are assigned to one of two mood stabilizers. 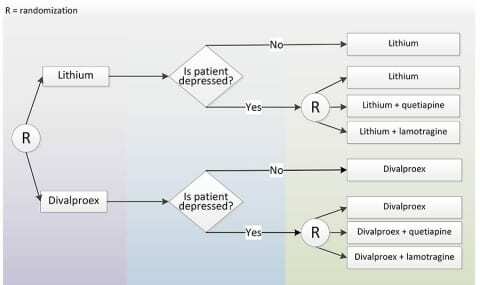 A SMART design is used to determine the appropriate treatment for patients who develop depression. 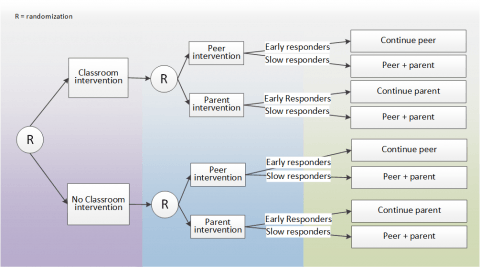 This pilot project uses a SMART design to develop an adaptive intervention for children with depression. Dr. Eckshtain aims to develop decision rules regarding the use of cognitive behavioral treatment, caregiver–child treatment, or both. 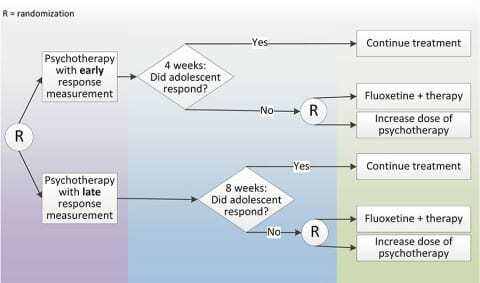 The goal is to develop an adaptive treatment protocol for depressed children. In order to develop communication skills among school-aged children who are nonverbal, this project employs a SMART design to test a novel intervention. The intervention includes components that focus on spoken language and the use of a speech-generating device (e.g., iPad). 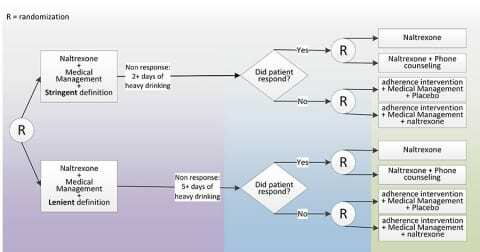 The SMART design provides the data needed to define response and nonresponse to the intervention and identify the best treatment sequence. 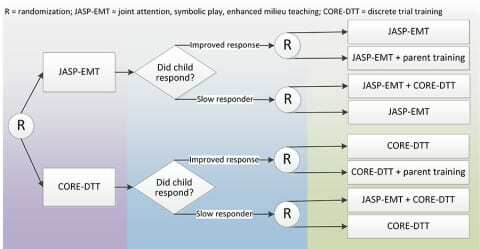 This study will compare two types of intensive, daily instruction for children with autism spectrum disorder (ASD) who use only minimal verbal communication. Earlier research has shown that even after early language-skills training, about one-third of school-aged children with ASD remain minimally verbal. Researchers plan to enroll 200 children in four cities: Los Angeles, Nashville, New York City, and Rochester, N.Y. 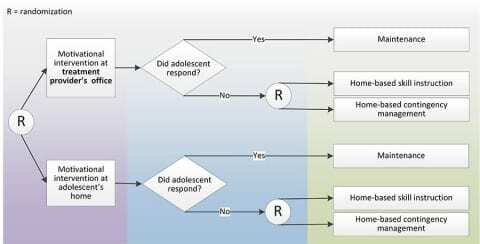 This study compares two types of interventions for youth (ages 10-15) with conduct disorders. 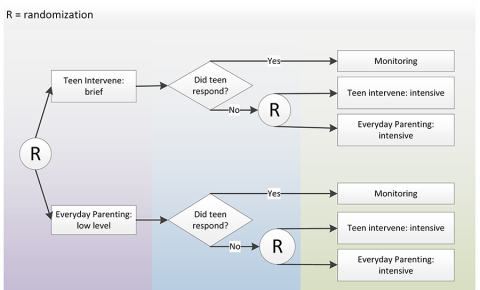 Participants received either a teen-focused or parent-focused intervention. The appropriate intensity of the interventions was also studied. Contingency management (CM) is a treatment used in substance abuse where patients are rewarded for following treatment guidelines. 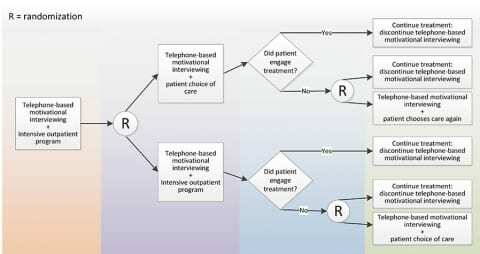 In this study, researchers are comparing CM to treatment without incentives using a SMART design. They are also testing the timing and the length of the CM. Between 50% and 70% of people living with HIV are nicotine dependent. This SMART examines how and when to apply contingency management and standard treatment to promote smoking cessation in this population. 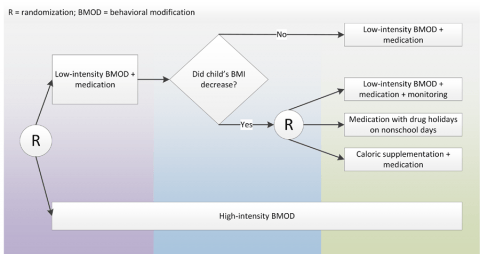 This project aims to develop an adaptive intervention for families where the mother has ADHD and the child is at genetic and environmental risk for ADHD. 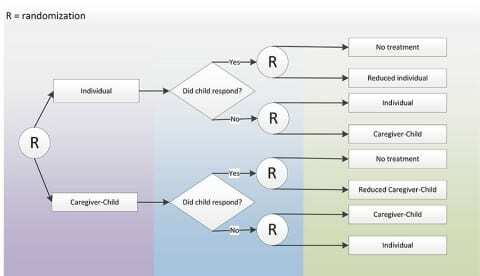 Researchers are using SMART to determine how to use behavioral training or medication for mothers separately, in sequence, or in combination, to improve the quality of parenting and prevent the progression of ADHD in children. This SMART is cluster-randomized. 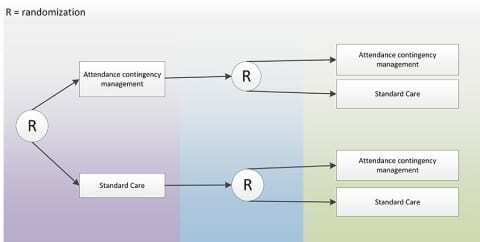 Randomization occurs at the clinic level. The aim of the study is to develop an adaptive quality improvement strategy designed to enhance the implementation of an evidence-based mental health intervention. 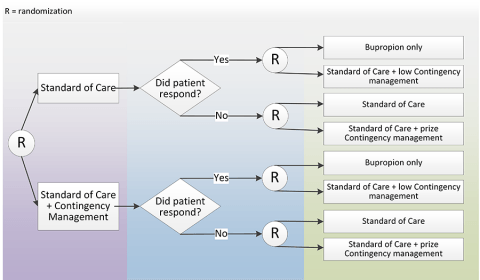 Outcomes are measured at the patient level. Researchers in this study are developing an adaptive treatment to address suicidality in college students seeking services at college counseling centers. 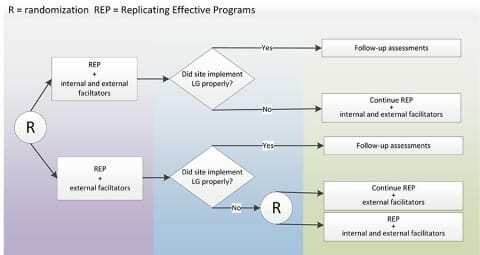 They are developing the first empirically validated approach to sequence treatments for students seeking services. This project will develop an adaptive intervention to improve ​social connectedness​, academic engagement, and other skills among school-aged children with autism spectrum disorder​. Treatment for each participant includes some combination of a playground-based intervention, a classroom-based intervention, a peer-mediated intervention, and a parent-assisted intervention.​ This pilot project will address feasibility and acceptability concerns and will provide preliminary data for a full-scale SMART. 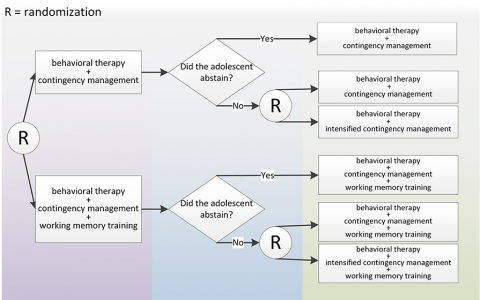 Because the history of adolescent substance abuse interventions shows that individuals respond differently to treatment, this study uses a pair of SMART designs to examine when and how to treat adolescent drug users.